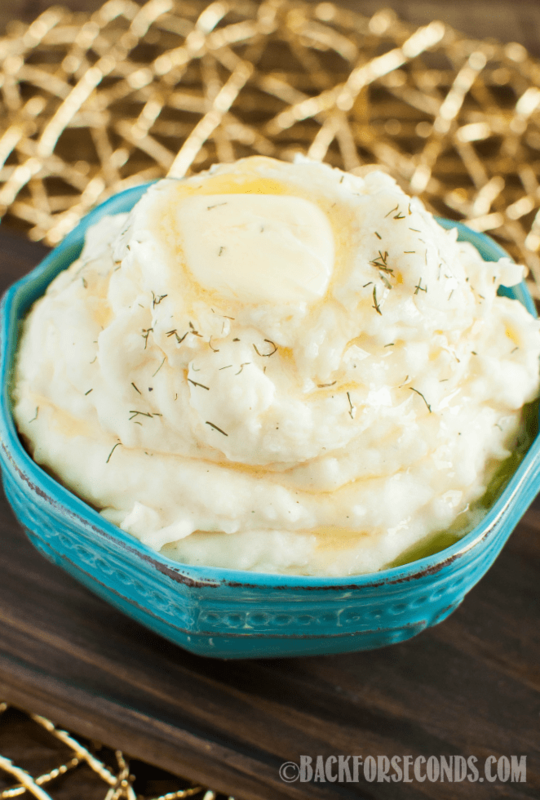 These Amazing Cream Cheese Mashed Potatoes make a wonderful holiday side dish that everyone will love, yet they’re easy enough for any night of the week! I’m not really sure how this happened, but Thanksgiving is just two weeks away! As far as I’m concerned, every Thanksgiving dinner table needs mashed potatoes. Why not make the best?! 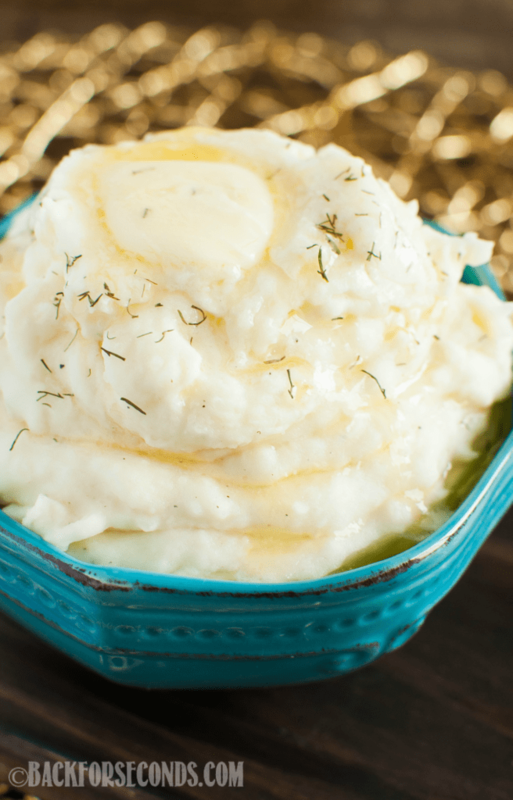 These cream cheese mashed potatoes are so rich and creamy, and they have plenty of amazing flavor all on their own. But go ahead and pour on the gravy anyway. My Grandpa Tom was kind of famous in our family for making the best mashed potatoes. What I mean by that is, my Grandma peeled, chopped, and cooked them, but when it came time for the mashing, Grandpa stepped up to the plate. His mashed potatoes were always so creamy. Never any lumps. Just perfect. 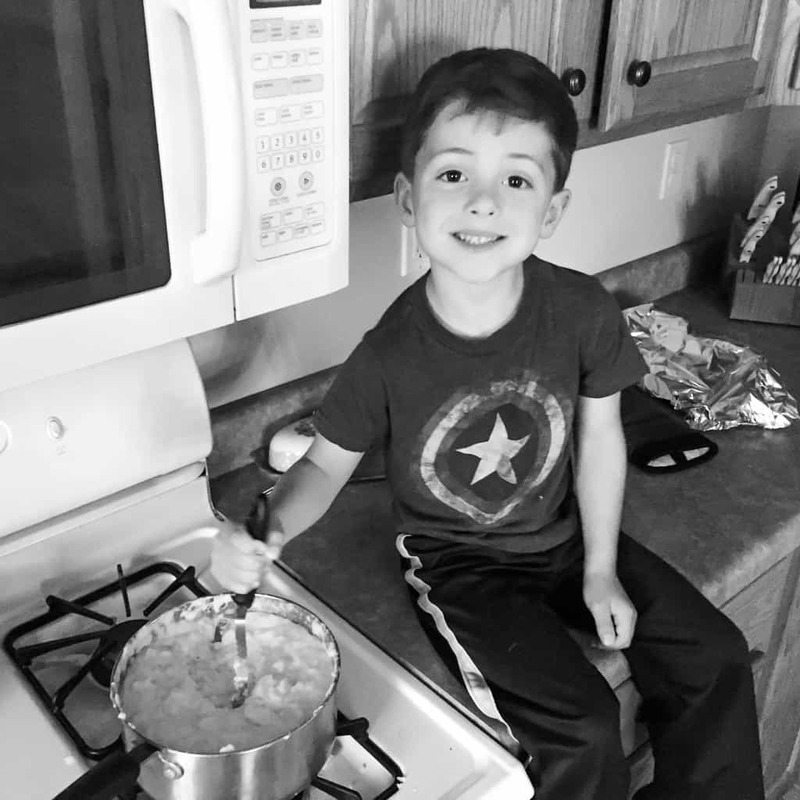 He passed away a few years ago, and now every time I make mashed potatoes, my 6 year old asks if he can try to mash them like grandpa did. I love how something so simple as making mashed potatoes can turn into such precious memories and family traditions. I think Grandpa would have liked these potatoes. I hope you give these a try and make lots of wonderful, happy memories at your dinner table this Thanksgiving. Want more recipes like this? Subscribe to Back For Seconds by Email and get FREE recipes delivered to your inbox!